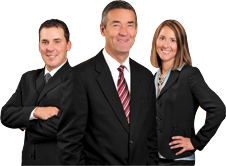 Welcome to Randy Cudd and Associates, Inc. Thank you for visiting our website. We specialize in the beautiful St. Croix River Valley area of western Wisconsin including River Falls, Hudson, Somerset, Hammond, Roberts and the surrounding areas of eastern Minnesota including Woodbury, Lakeland, Stillwater, and Lake Elmo. Experienced in residential real estate, land, investments, commercial properties, and 1031 exchanges, we are committed to professionally handling all your real estate needs every step of the way. Please explore our on-line real estate resource guide to find out how we may assist you.